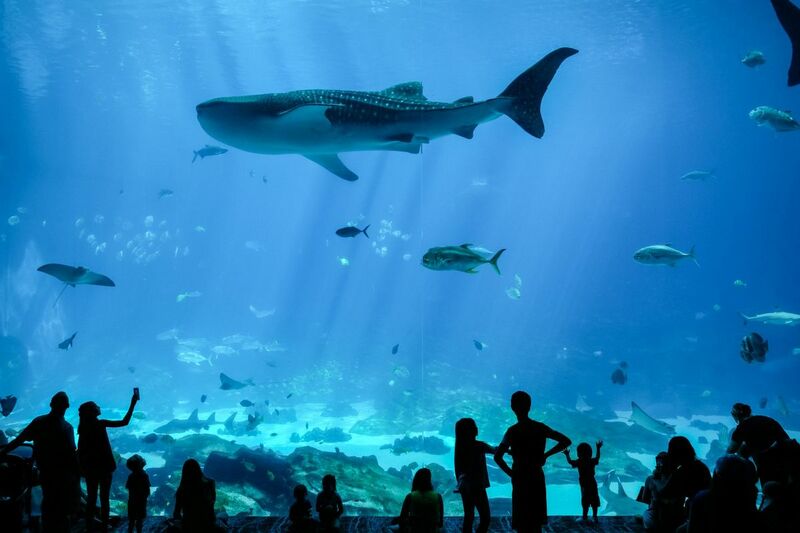 Visit Georgia Aquarium on your birthday, and your aquarium admission is free! Photo courtesy of Georgia Aquarium. Making the rounds to see popular Atlanta attractions gets expensive, but by taking advantage of free admission days and discount offers you can make the city’s most popular sites affordable. Institutions such as the High Museum of Art, Zoo Atlanta, Atlanta History Center and Georgia Aquarium all have various offers available for free admission. See the city on the cheap with these special offers. Atlanta History Center participates in the Bank of America “Museums on Us” program. Bank of America cardholders can get free access the first full weekend of each month. Present your active Bank of America®, Merrill Lynch® or U.S. Trust® credit or debit card along with a photo ID to gain one free general admission. Free admission does not apply to additional guests. Check out the Georgia Public Libraries’ “Passport to Puppetry“ at any participating public library in Georgia for free admission to Center for Puppetry Arts. The program gets up to four people in to the museum for free. Visitors can also receive 25 percent off of an all-inclusive ticket, which includes a Family Series Performance and a Create-A-Puppet Workshop in addition to Museum access. Fulton County residents, students and Fulton County government employees can receive free museum admission — performances and workshops are not included — on select Saturdays. Visitors must show proof of residency/school enrollment/employment. The next Fulton County Free Saturday is July 14. 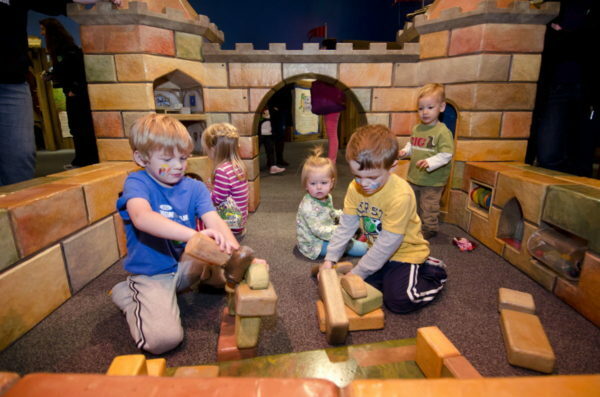 Children’s Museum of Atlanta will host a free day for Fulton county residents for the opening of “The Amazing Castle” on June 9. Photo by Minnesota Children’s Museum. Visit Georgia Aquarium on your birthday, and your aquarium admission is free! Just go to any ticket window and show proof of your birthday with either a valid ID or copy of your birth certificate, and you can get free general admission, which gives you access to all galleries and shows. More than 90 cultural institutions in Georgia participate in this popular annual family event that takes place in February each year. Many locations are in Savannah, but participating local museums include Marietta Museum of History, SCAD FASH, Millennium Gate Museum and the Root House Museum. Sites offer free admission from noon to 4 p.m. unless alternate hours are noted. On the second Sunday of each month, the High Museum offers free admission for all visitors from noon to 5 p.m. Photo courtesy of High Museum of Art. 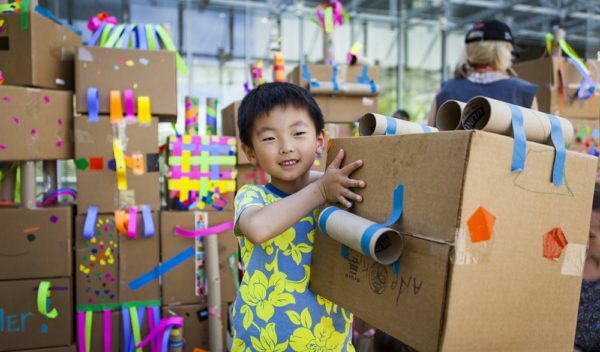 On the second Sunday of each month, the High Museum offers free admission for all visitors from noon to 5 p.m. and special programming from 1 to 4 p.m. Bring the entire family to “Second Sundays” and enjoy art-making activities, tours, performances, and the High’s collection and special exhibitions. Each month has a new theme and adventure. Every second Sunday of each month, MODA opens its doors for free and hosts special family-friendly activities. Families of all shapes and sizes are invited to participate in design and STEAM activities during “Family Free Day” that are fun and educational. Reservations are requested. Mark your calendar now for this museum free day on Sept. 22. Reserve a Museum Day Live ticket online in advance for free admission for two people. This is a nation-wide program that includes several local museums, and past participants include The Wren’s Nest, Bulloch Hall and Southern Museum of Civil War & Locomotive History. Active duty and reserve members of the U.S. Armed Forces as well as Military retirees receive complimentary admission for the next available entry time when they present their valid Armed Forces ID card at the World of Coca-Cola‘s ticketing window. Regular admission rates apply to family members and other guests. 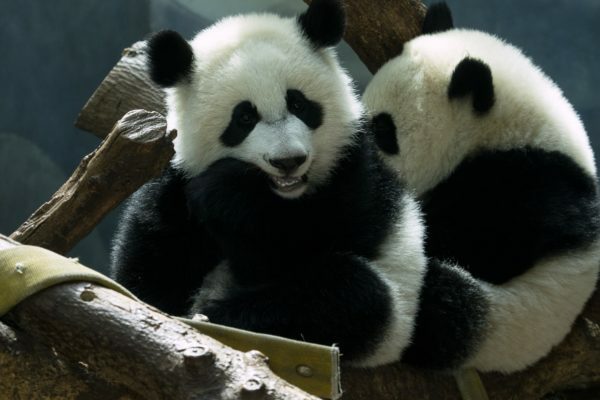 See Zoo Atlanta’s panda twins, Ya Lun and Xi Lun, for free by checking out the Zoo Atlanta Library Pass DVD. Photo courtesy of Zoo Atlanta. Georgia residents with a valid library pass can check out the Zoo Atlanta Library Pass DVD from a local library. Upon the DVD’s return, you receive a receipt that you can present at the zoo for free admission for a family of four. Some exclusions apply. This one is not free, but it is still worth mentioning if you want to see several places in a short amount of time for less money. Some admissions are discounted as much as 40 percent. One Atlanta CityPass booklet includes five admissions: Georgia Aquarium, World of Coca-Cola, CNN Studio Tours, Zoo Atlanta or Center for Civil and Human Rights, and Fernbank Museum of Natural History or College Football Hall of Fame. Once you have your booklet, your can visit the attractions in any order, and the Atlanta CityPASS booklets are good for nine consecutive days starting with the first day of use.